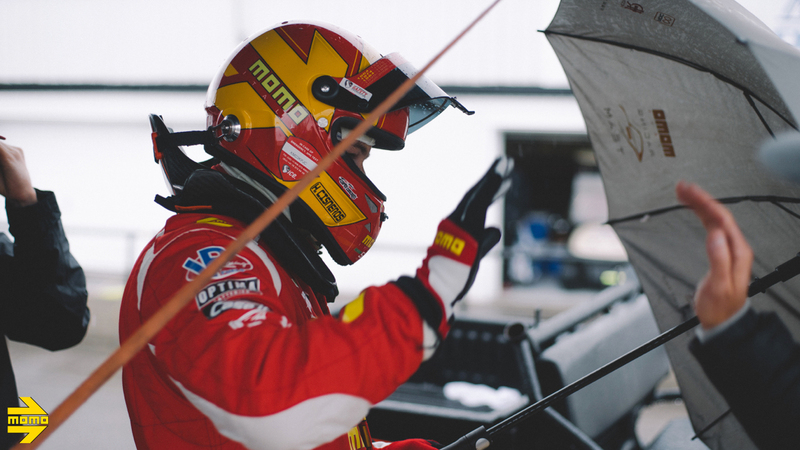 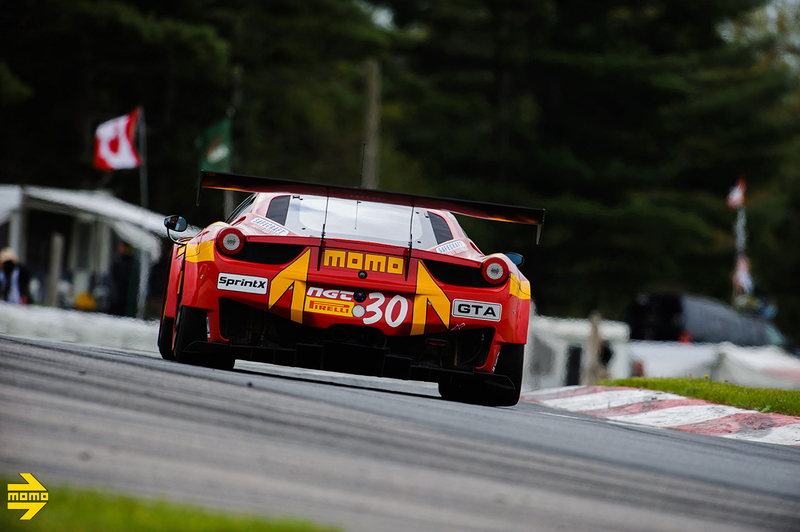 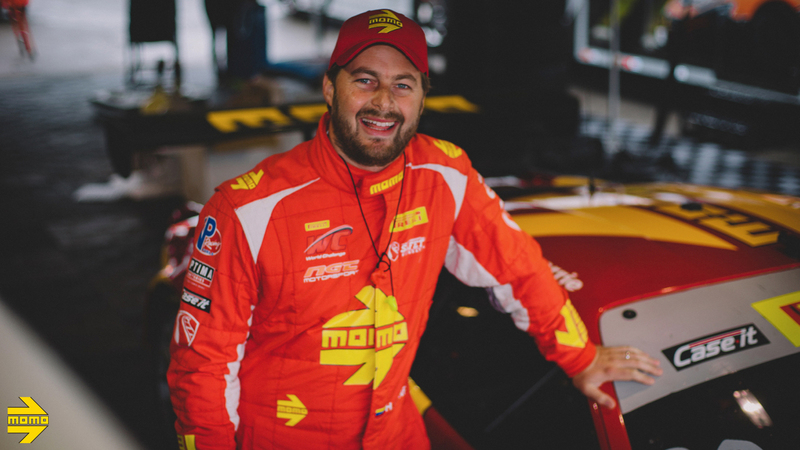 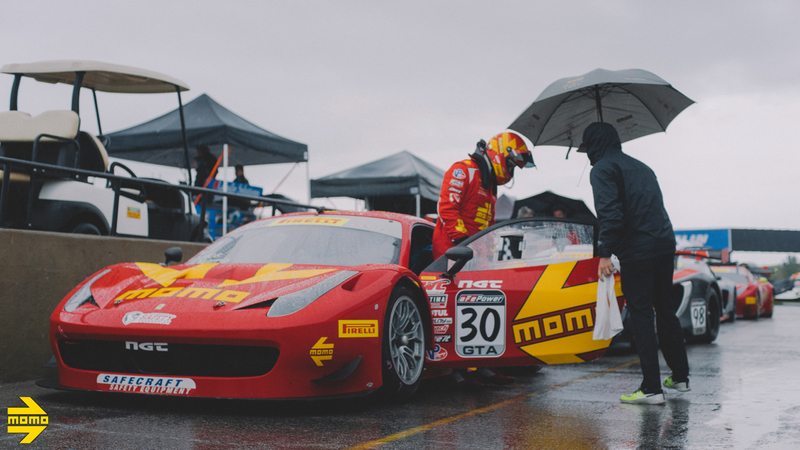 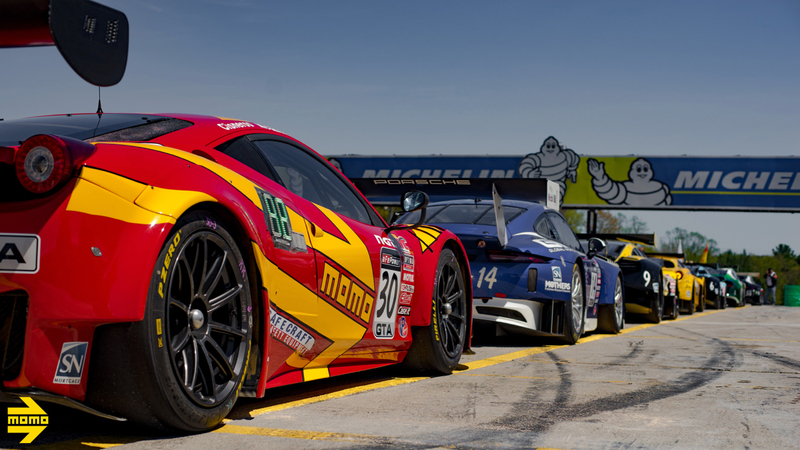 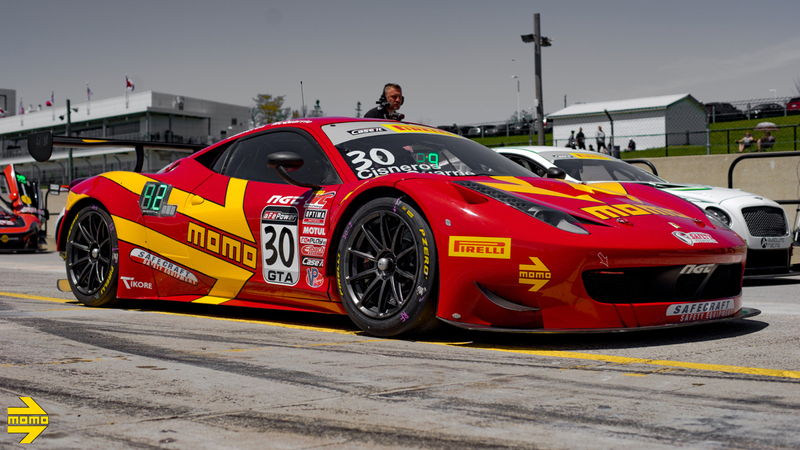 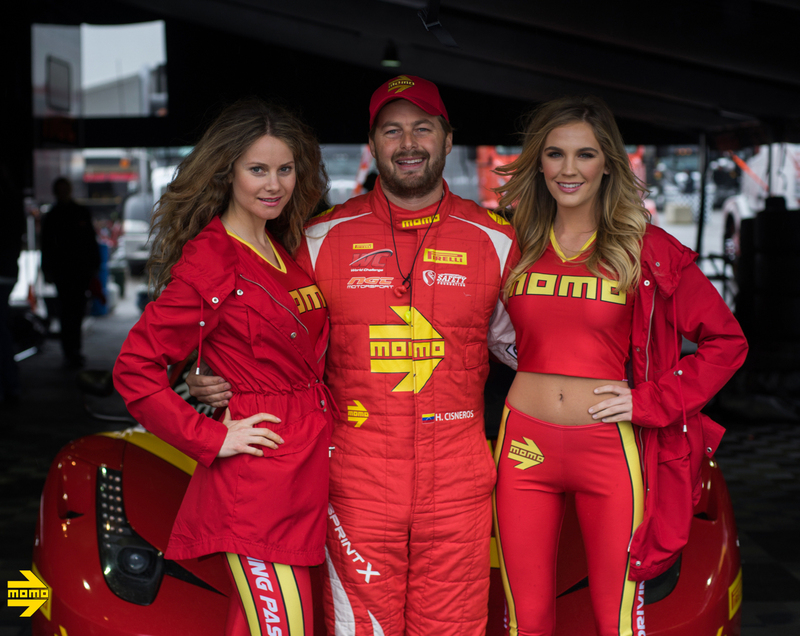 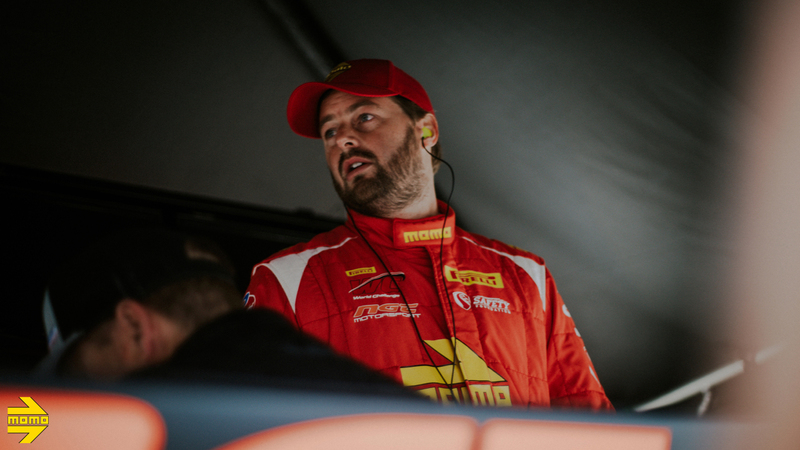 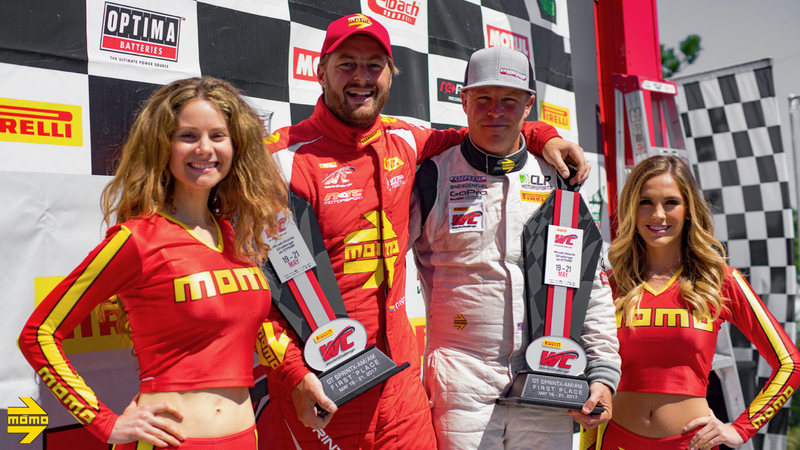 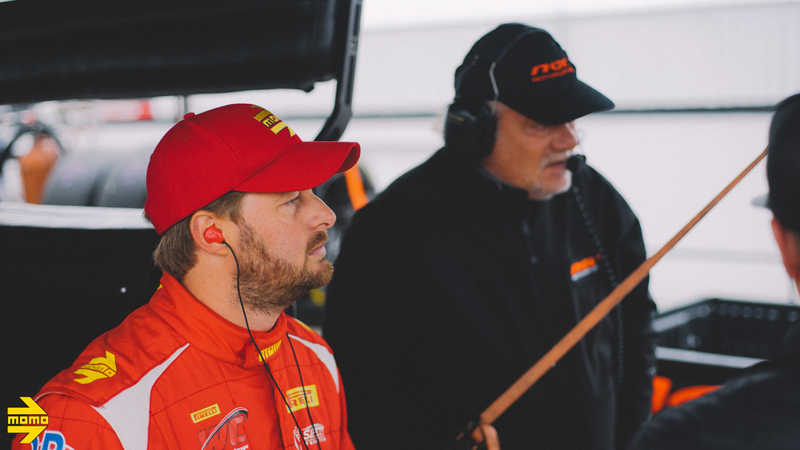 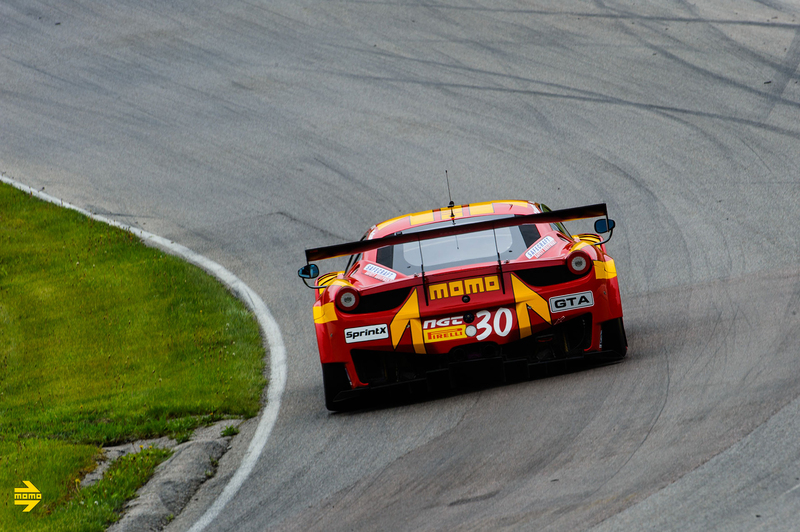 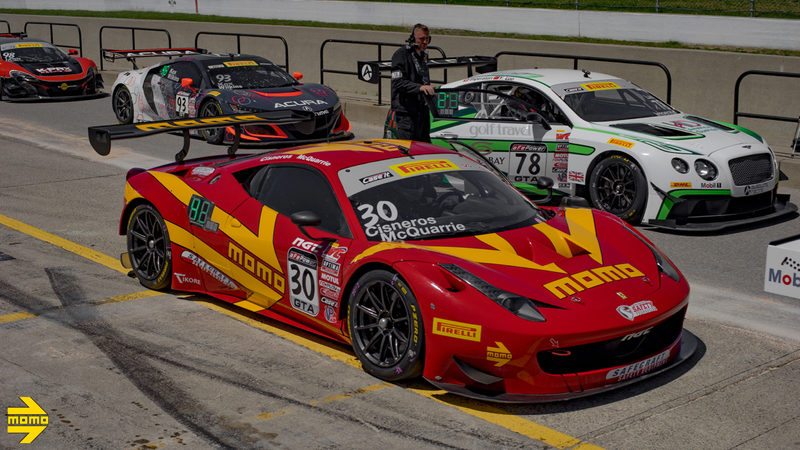 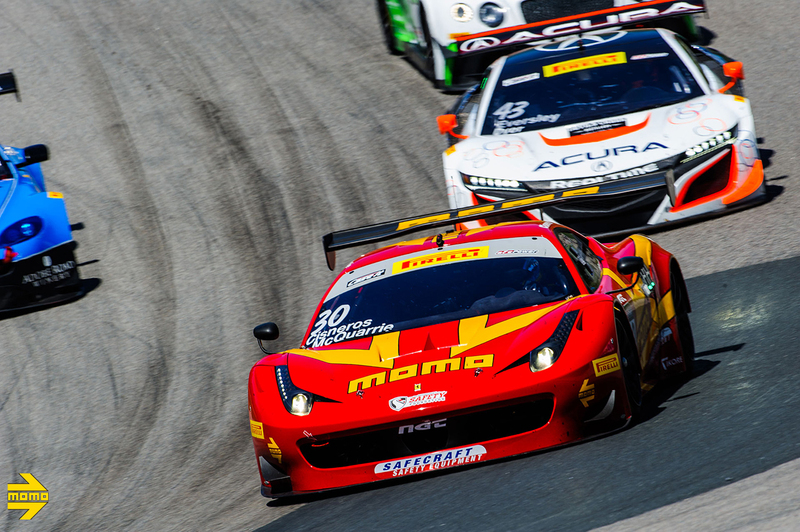 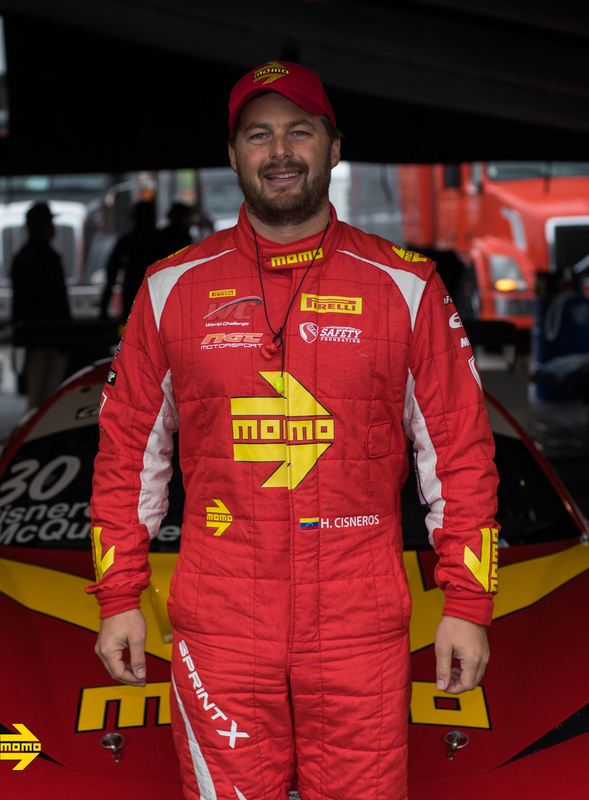 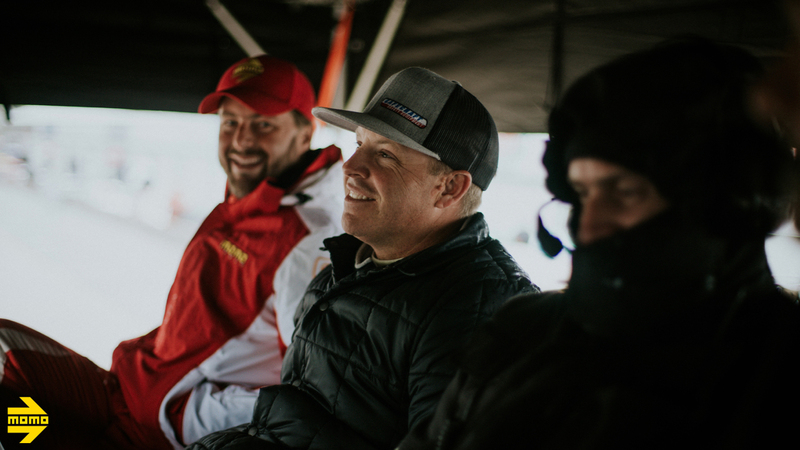 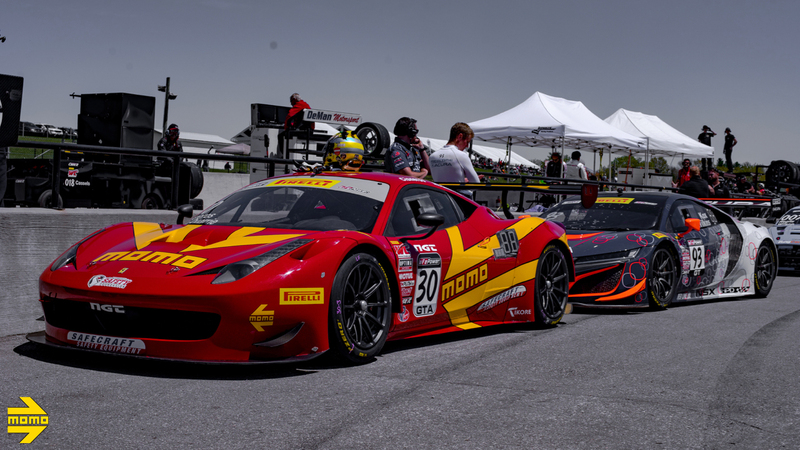 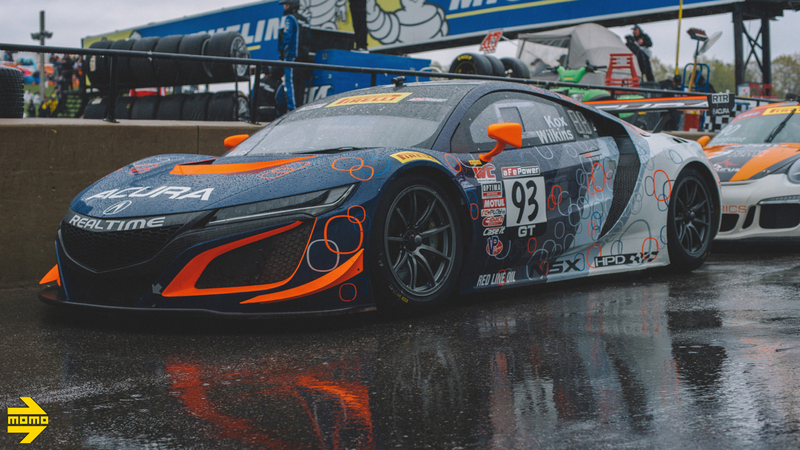 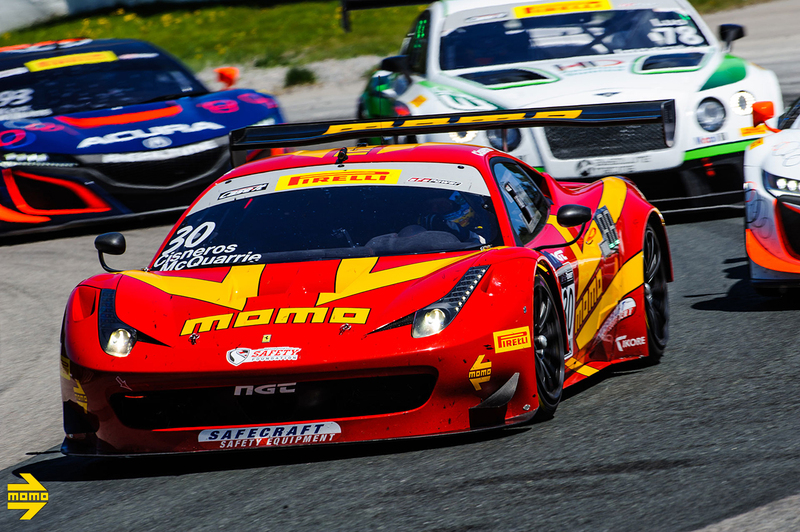 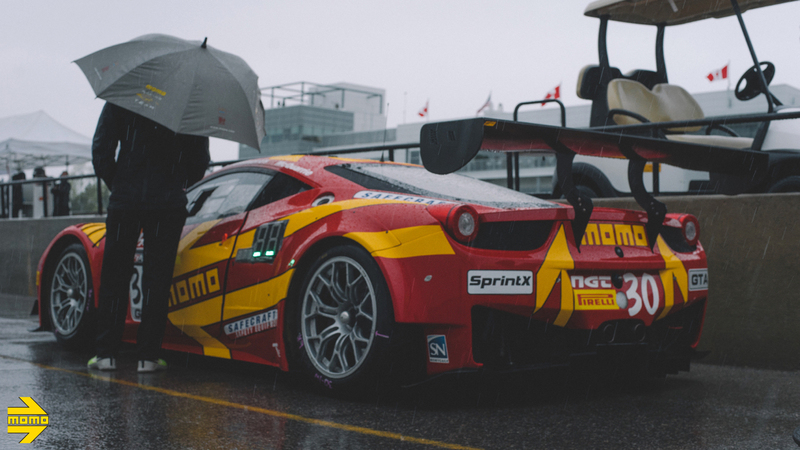 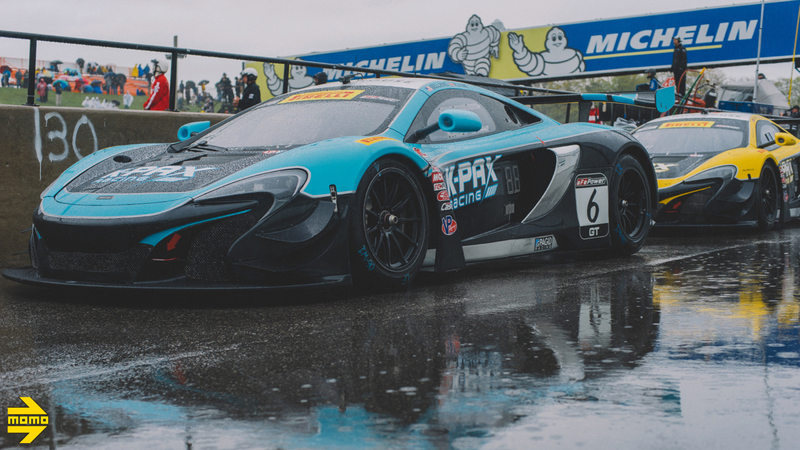 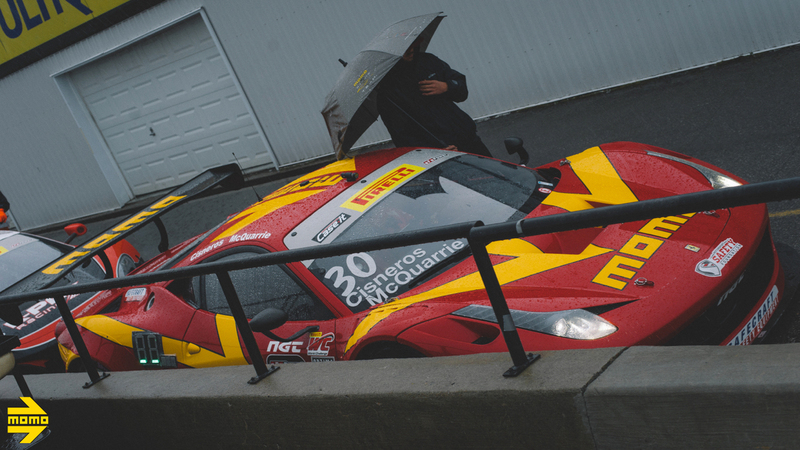 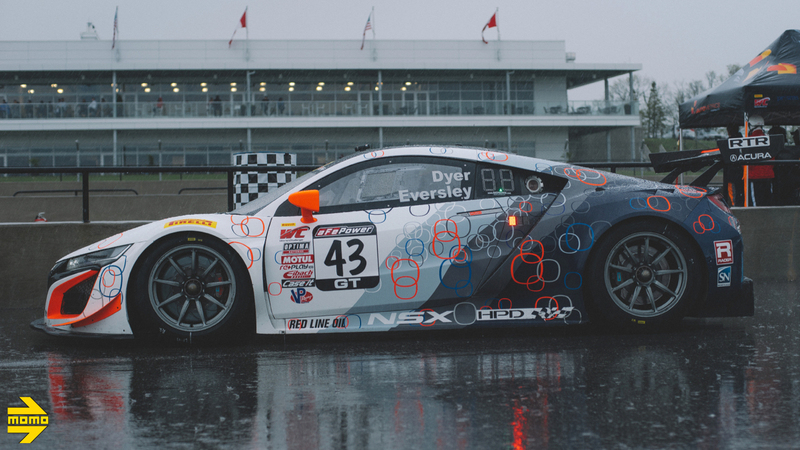 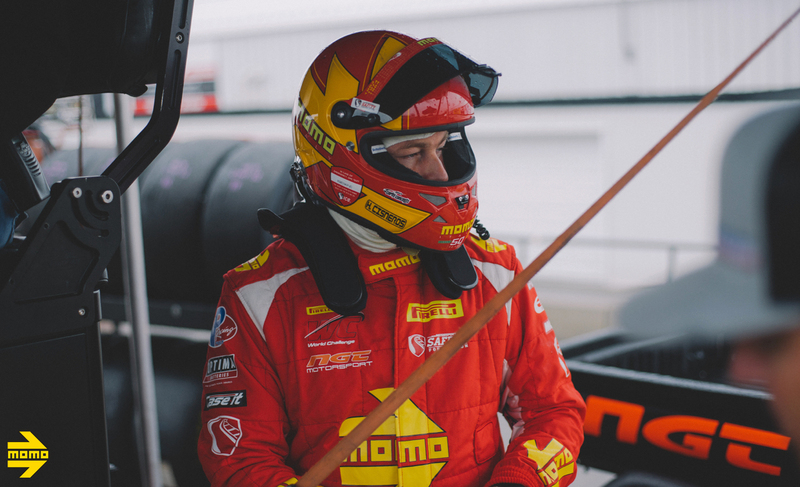 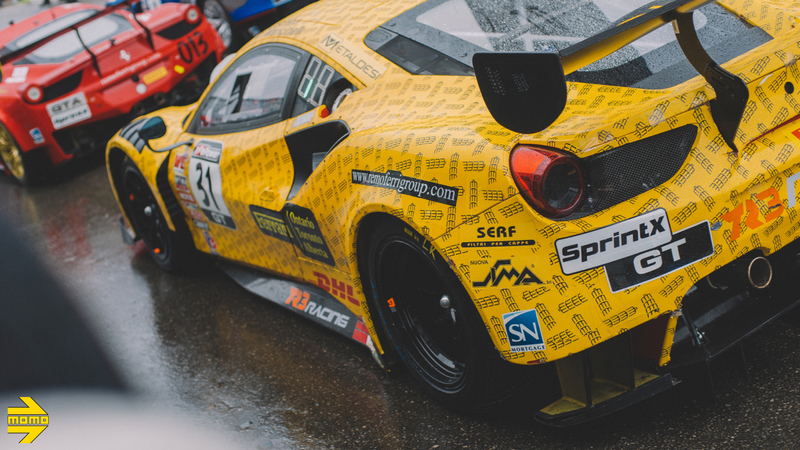 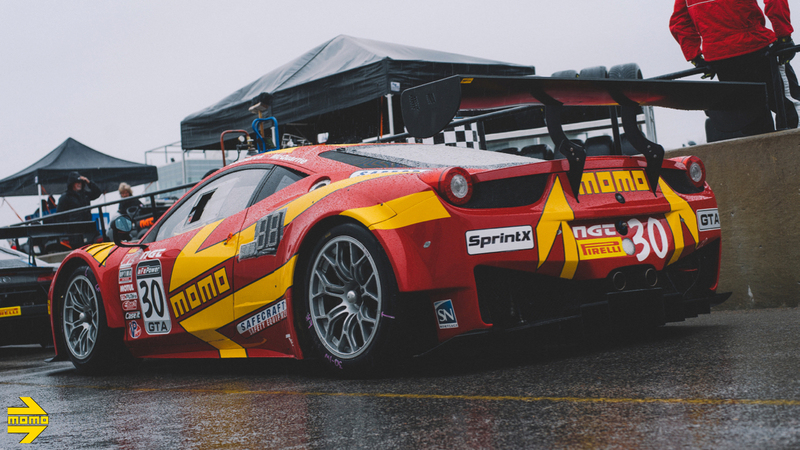 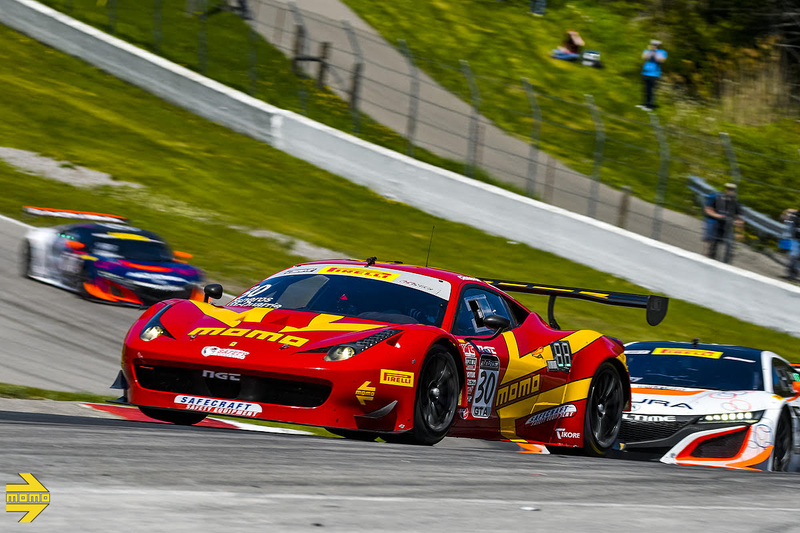 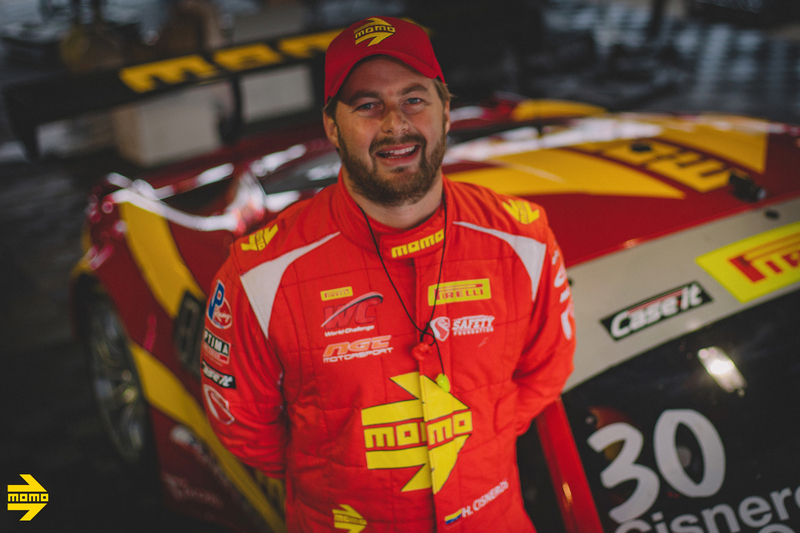 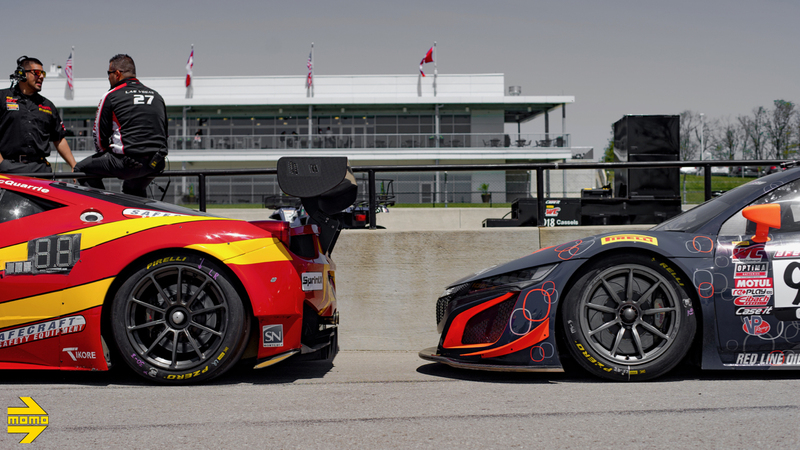 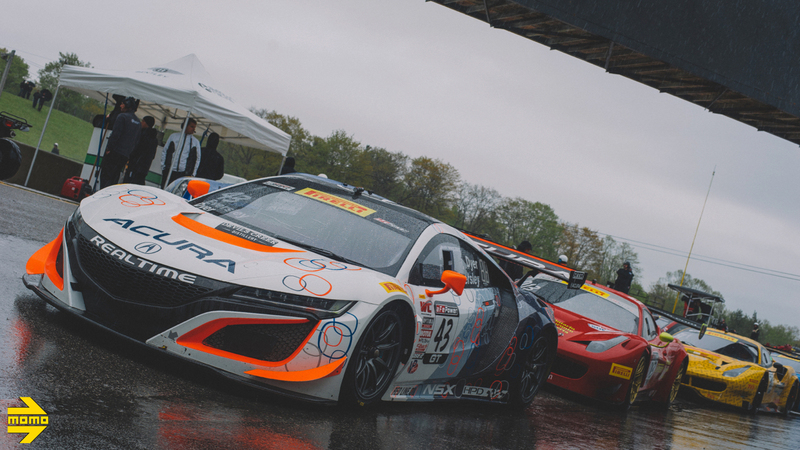 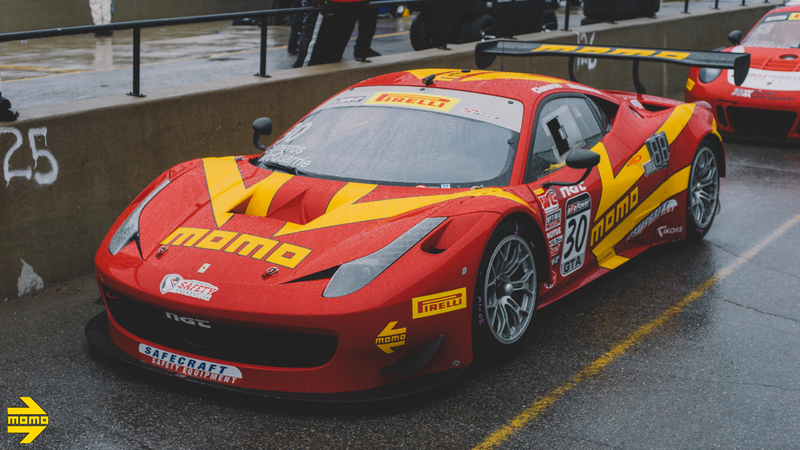 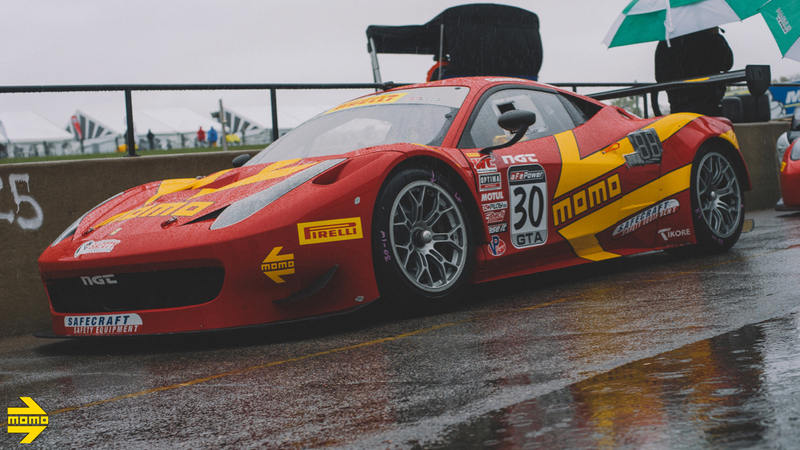 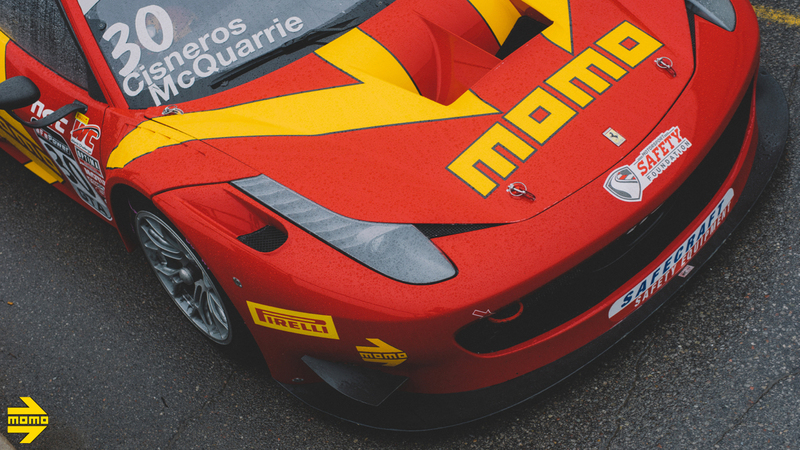 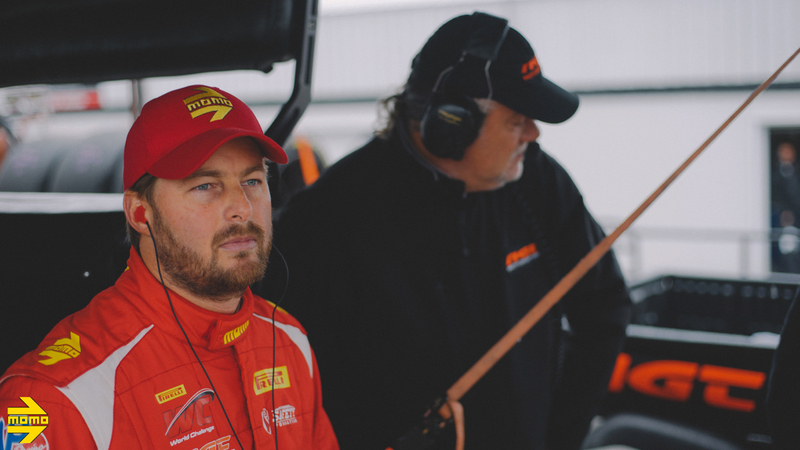 MOMO continued its winning ways last weekend at the Canadian Tire Motorsport Park for Round Three of the Pirelli World Challenge SprintX Championship. 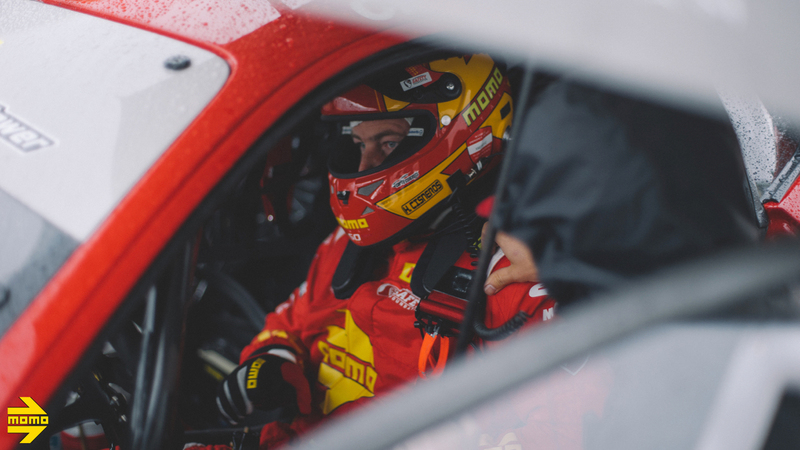 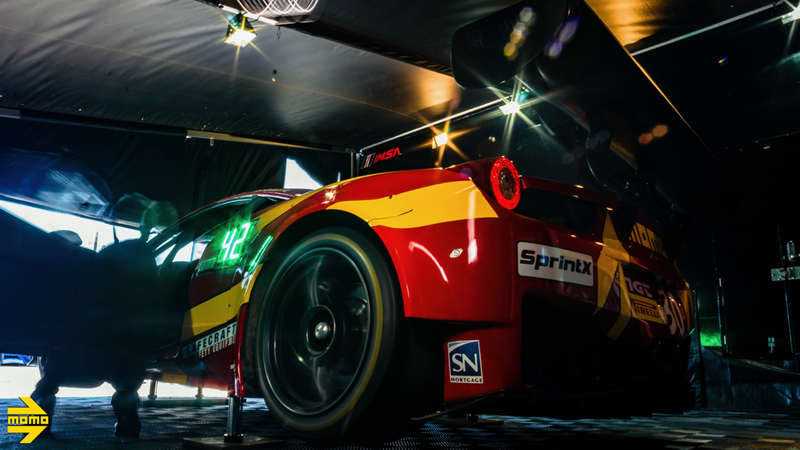 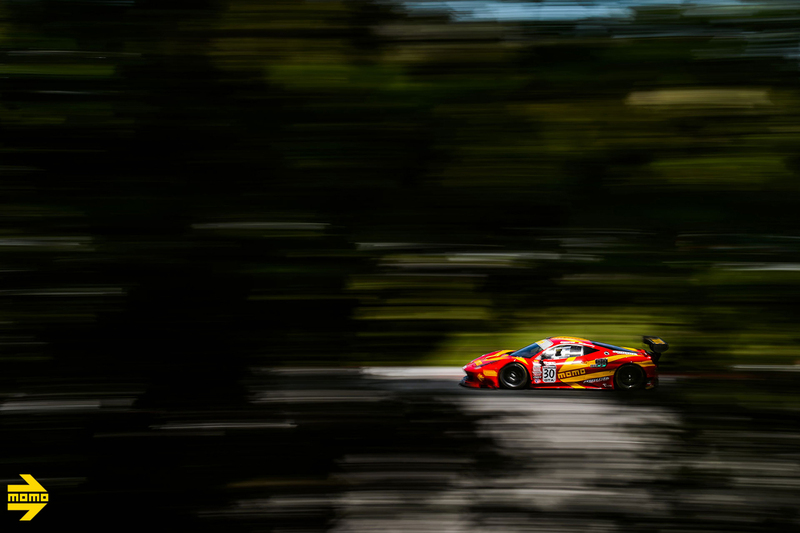 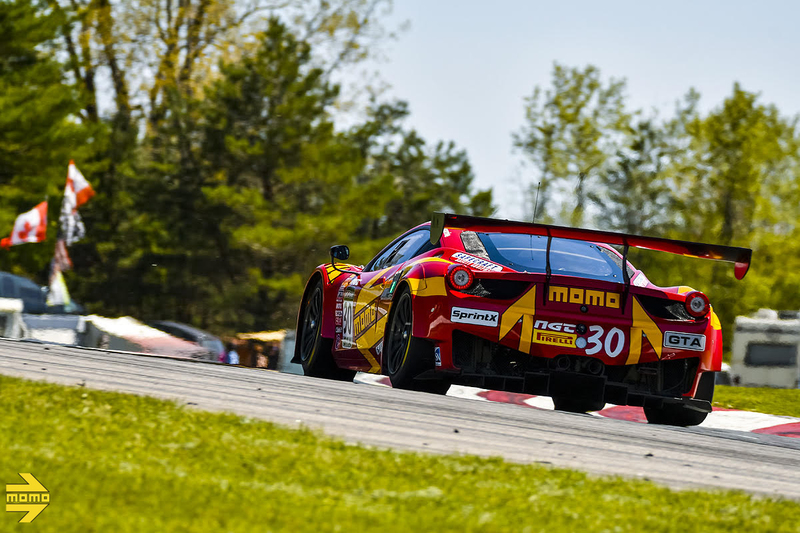 After a successful start to the season, which saw the MOMO NGT Motorsport Ferrari 458 GT3 Italia take top honors in the previous round at VIRginia International Raceway and co-lead the Amateur Class standings at the end of April, drivers Henrique Cisneros and Tyler McQuarrie were keen to remain on top going to Canada. 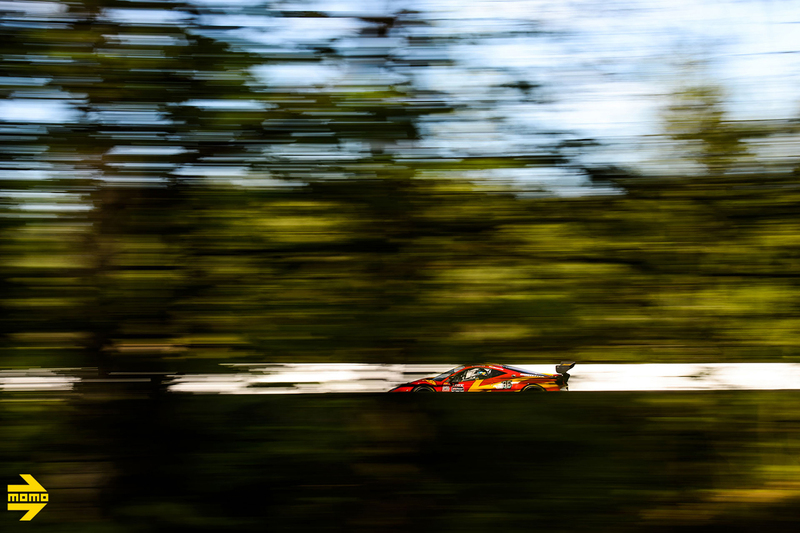 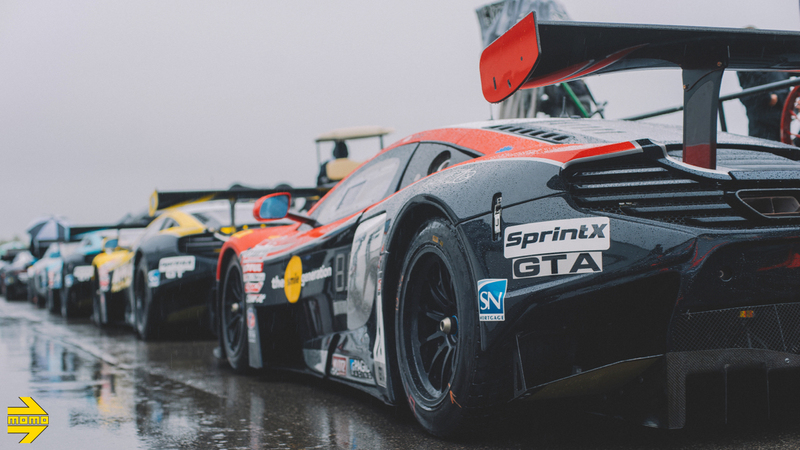 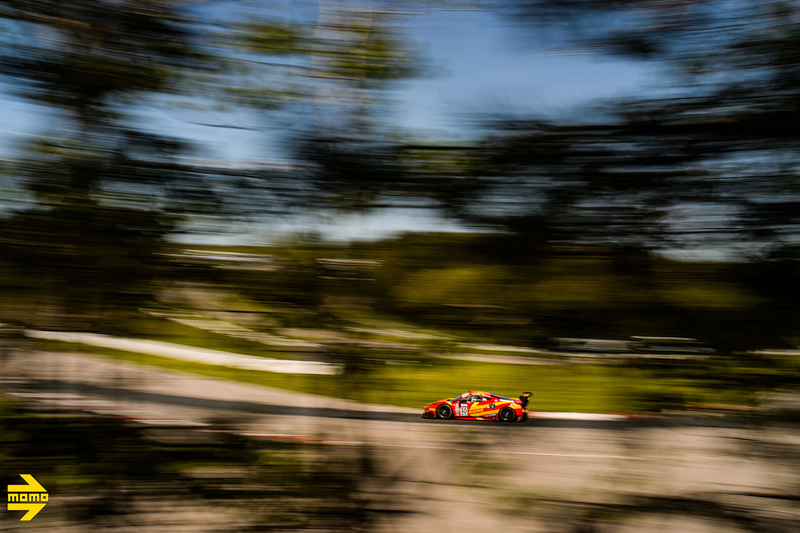 Rounds Three and Four took place on the 2.5-mile historic Mosport circuit, which has hosted events dating back to F1 and Can-Am in the ’60s and ’70s and continues to host NASCAR and sports car racing. 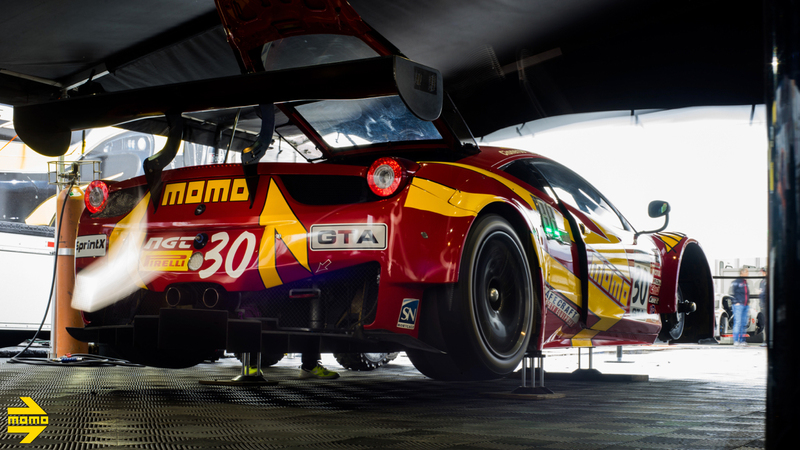 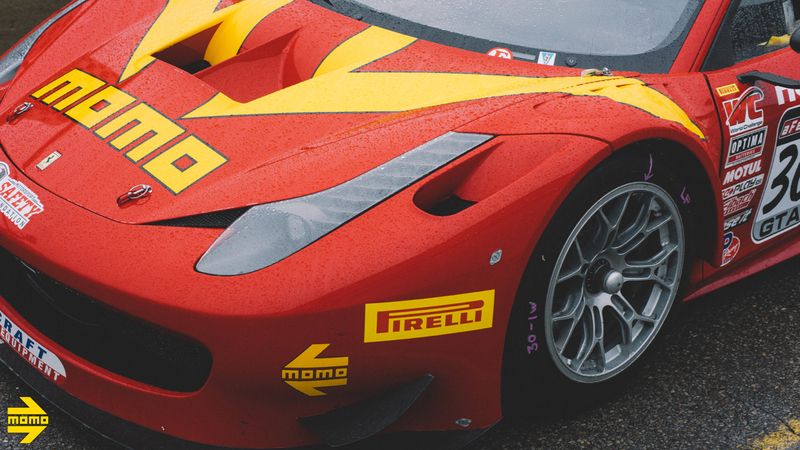 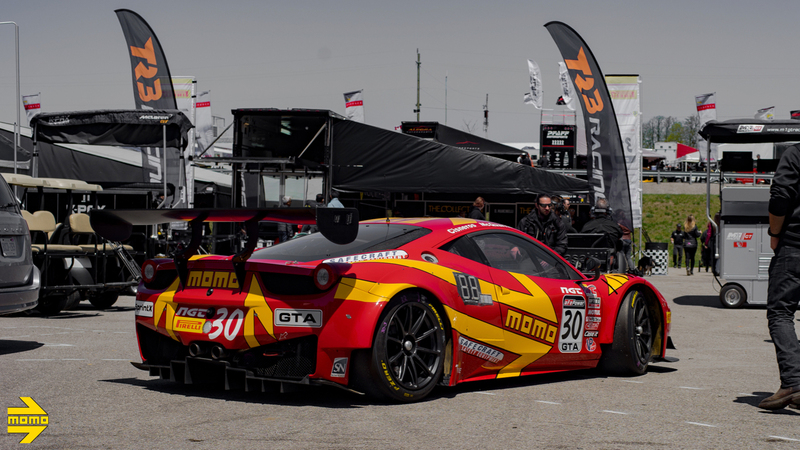 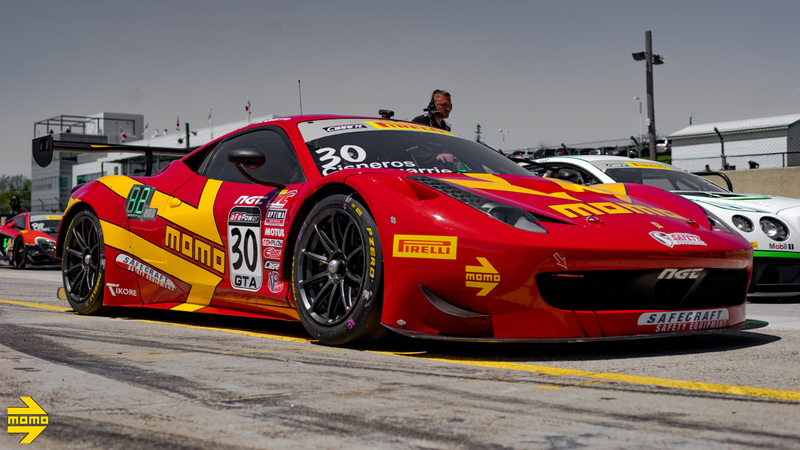 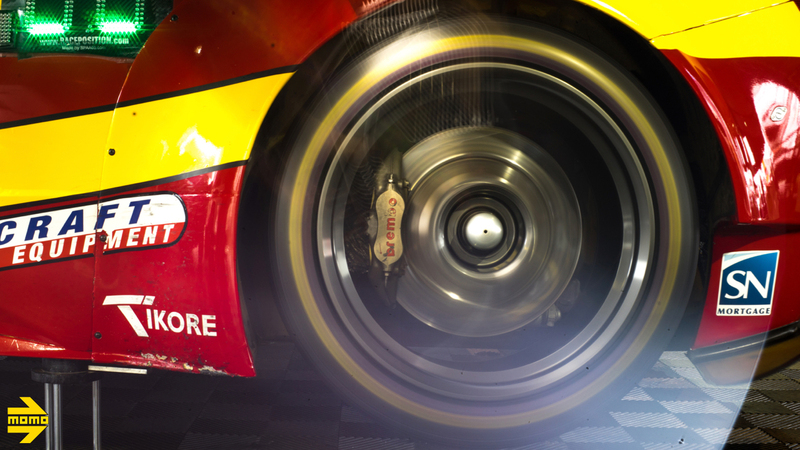 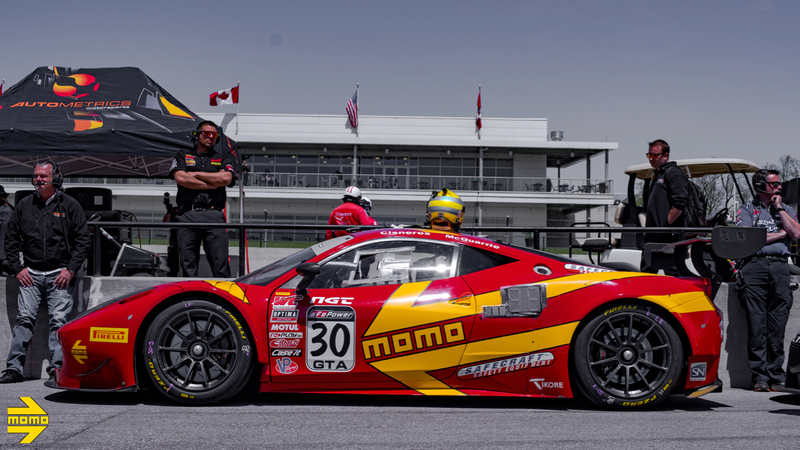 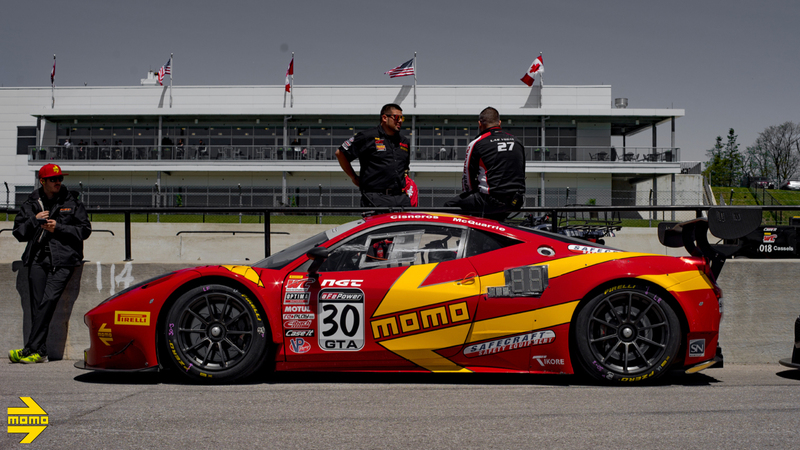 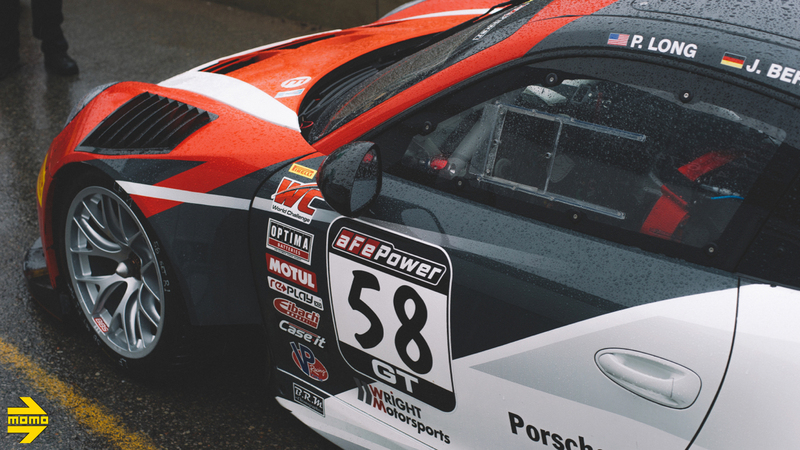 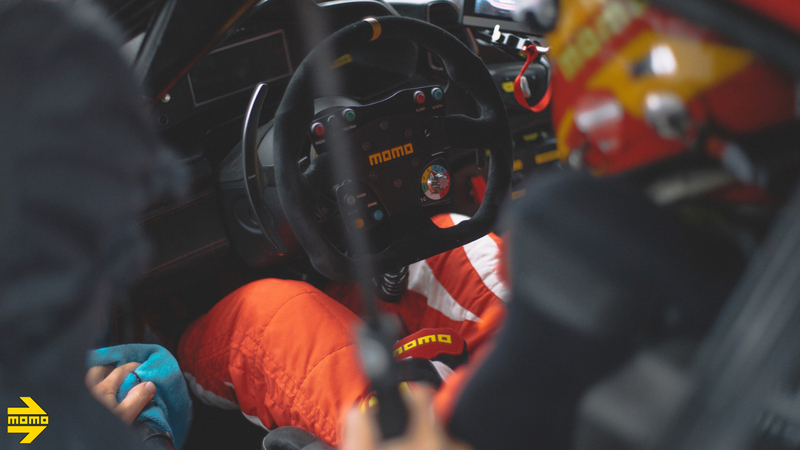 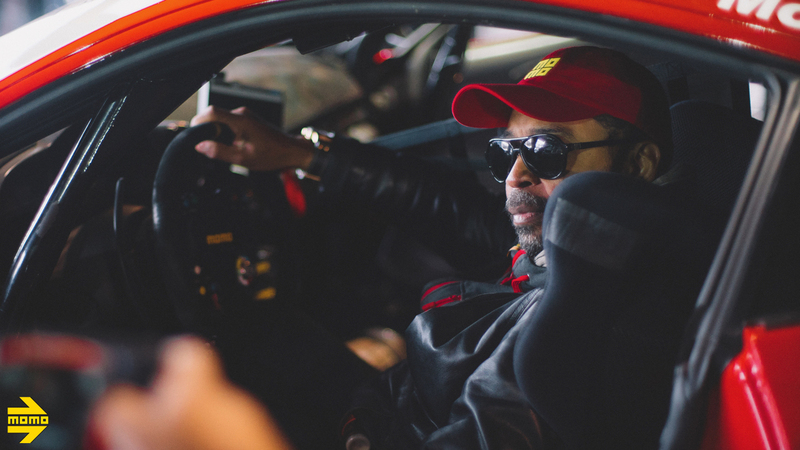 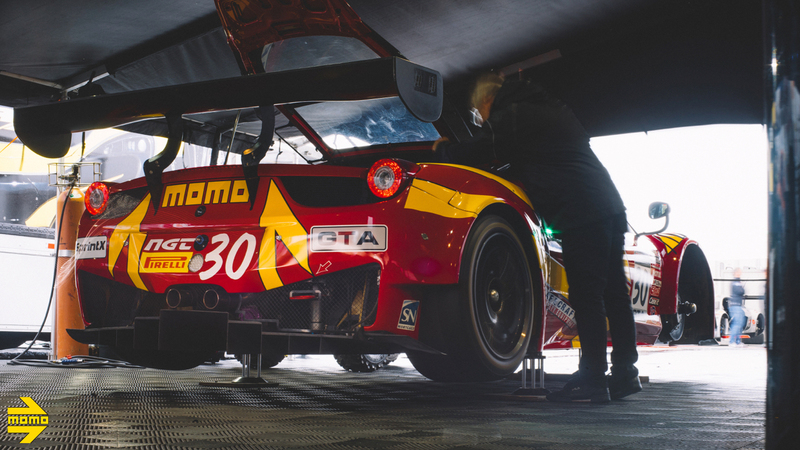 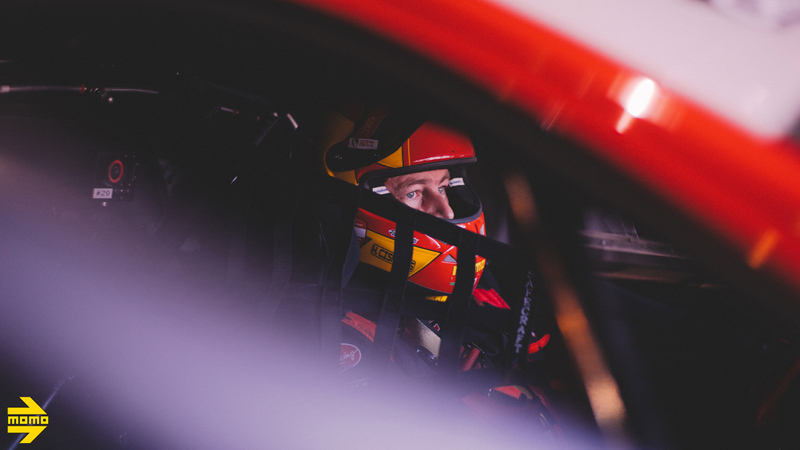 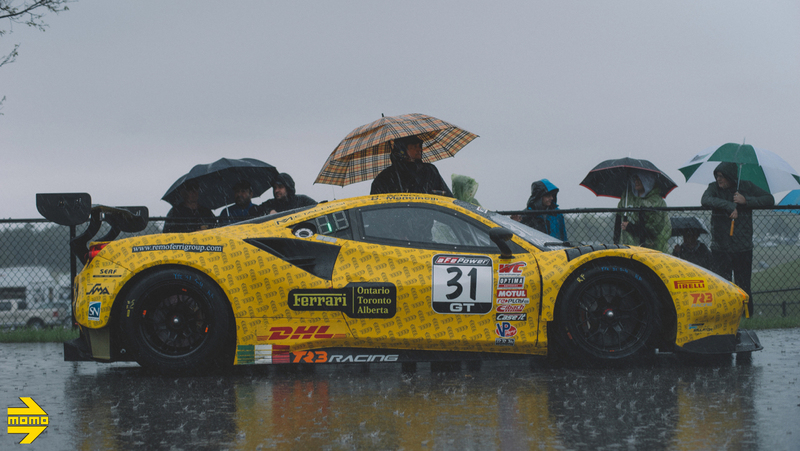 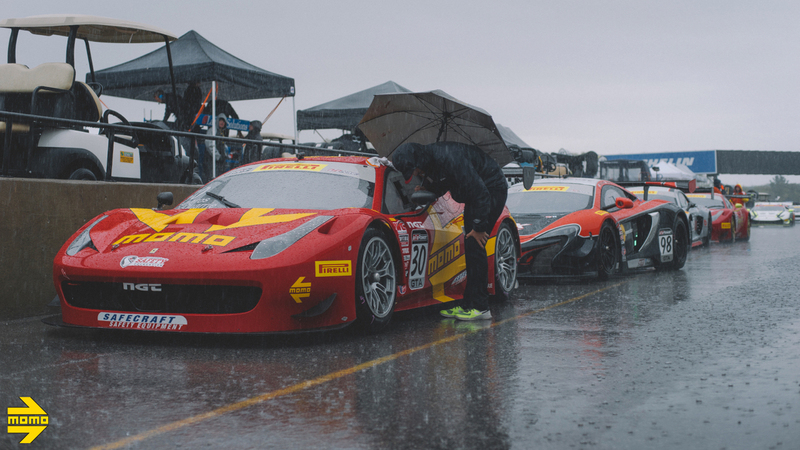 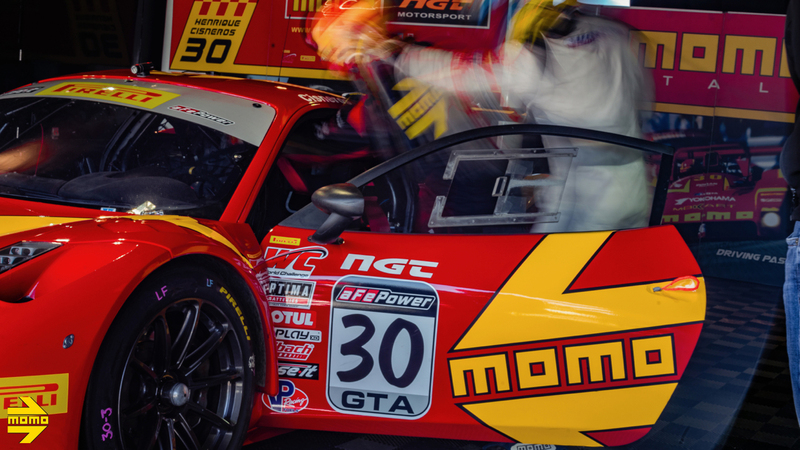 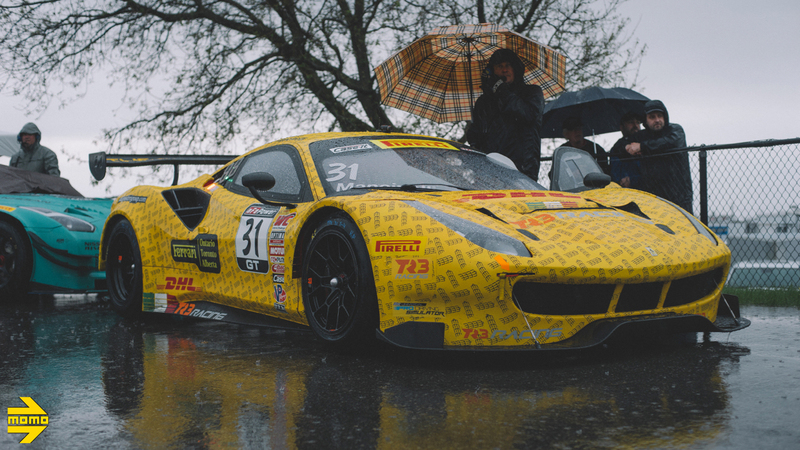 On Saturday, May 20, Round Three went without a hitch for the MOMO team, as the drivers put the #30 458 GT3 on pole position in the Amateur/Amateur class. 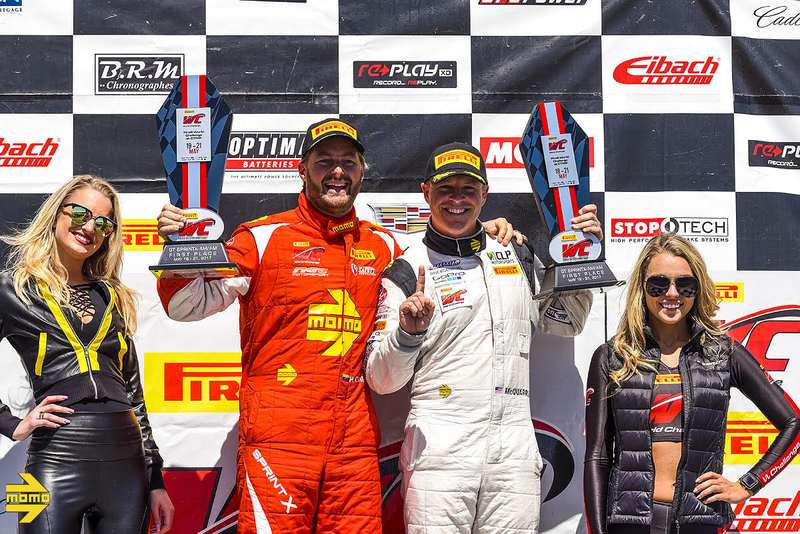 A dominating drive from Cisneros and McQuarrie saw the team take its second win from three starts – this time beating Kris Wilson and Drew Regitz in the Aston Martin GT3 in convincing fashion with a 3 lap lead. 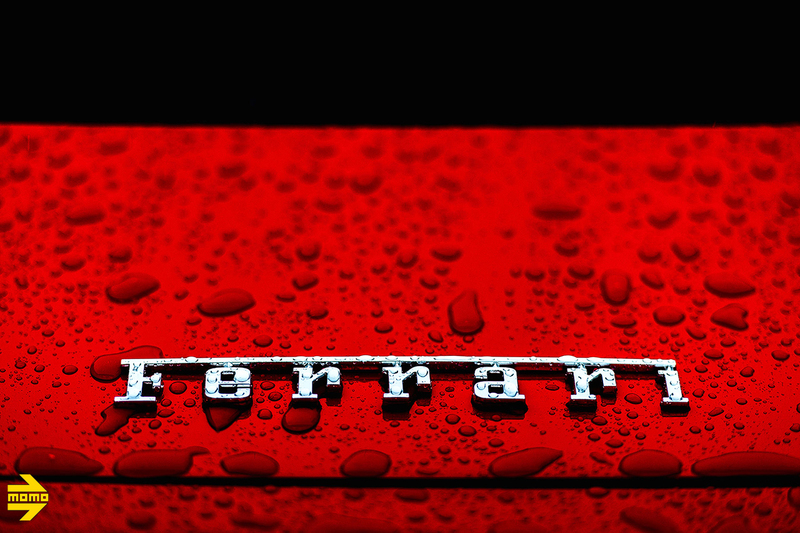 “What can I say? 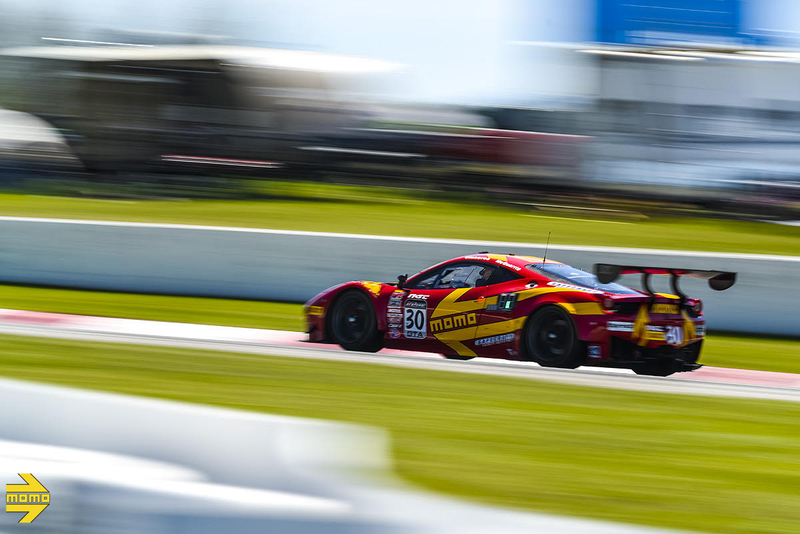 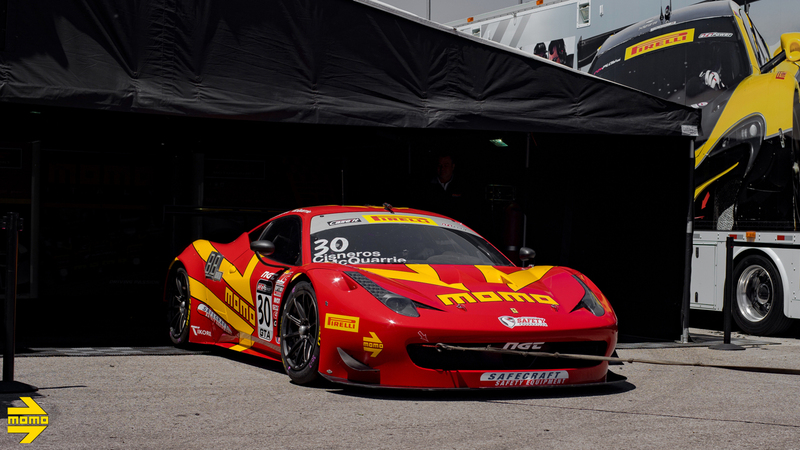 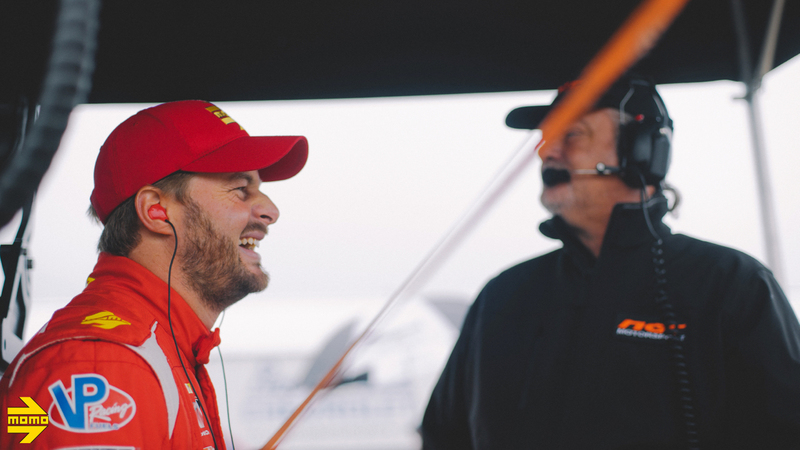 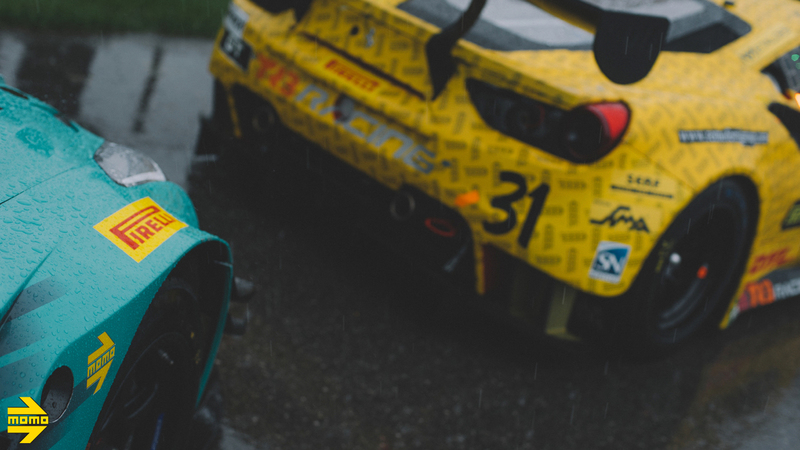 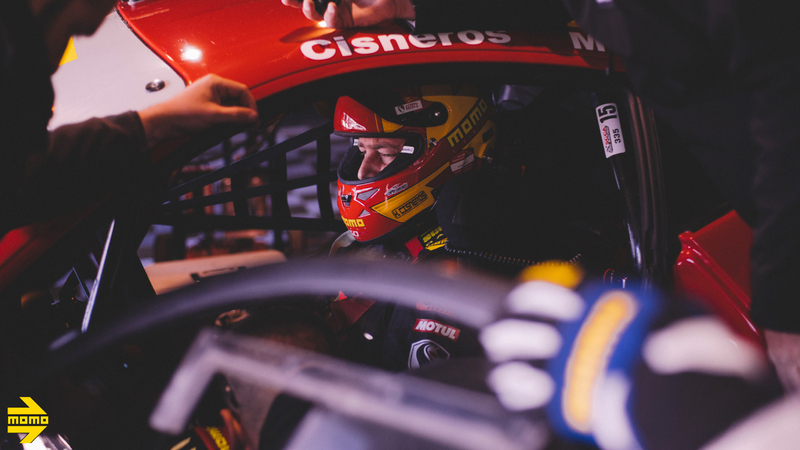 This car and team keep getting stronger and stronger,” said an ecstatic Henrique Cisneros. 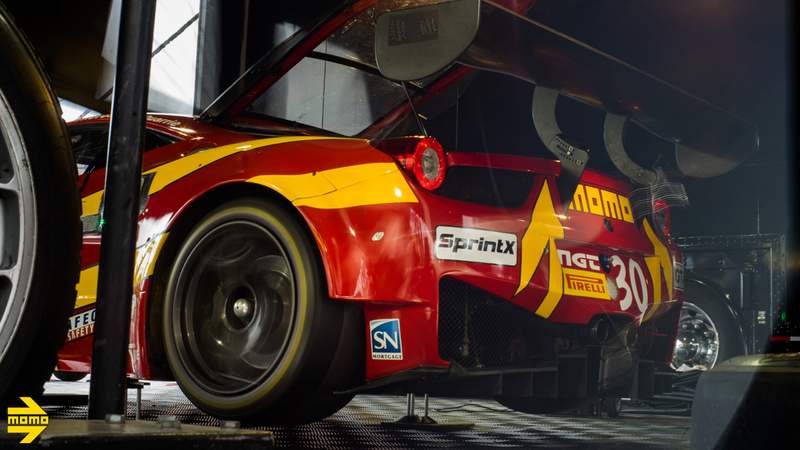 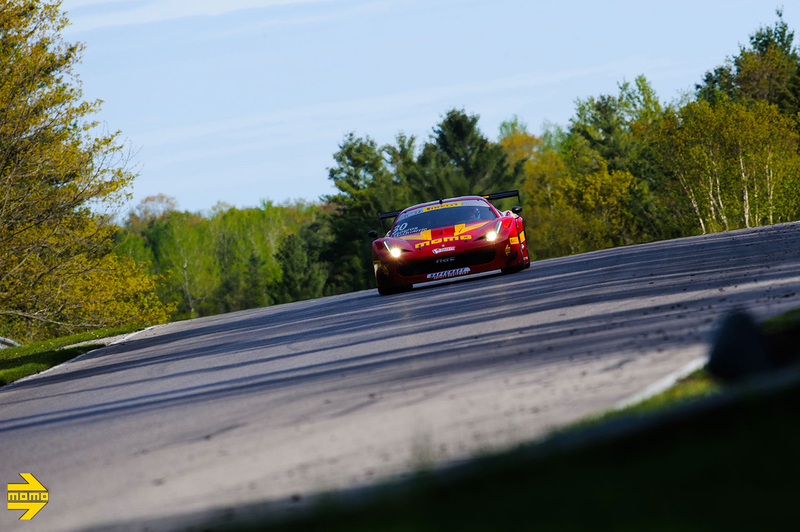 “We absolutely love the high speeds achieved at this track. 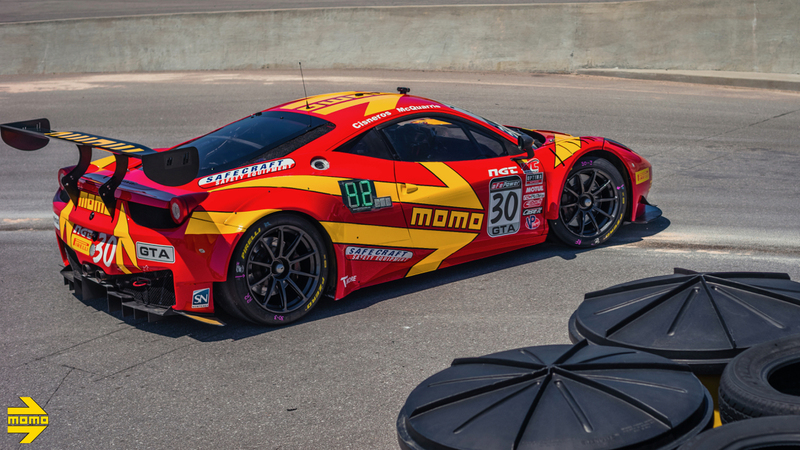 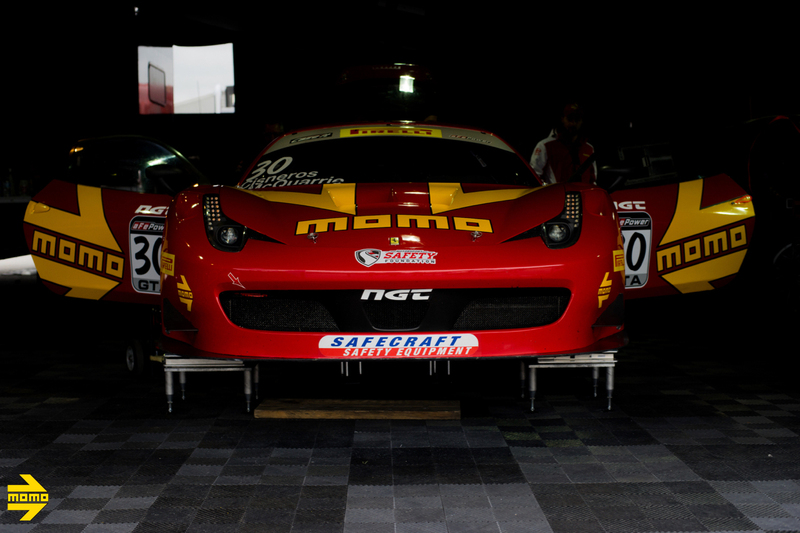 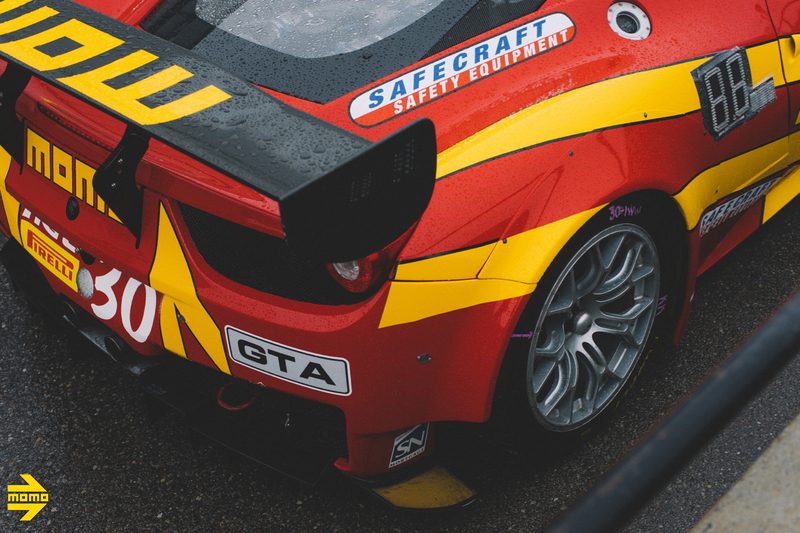 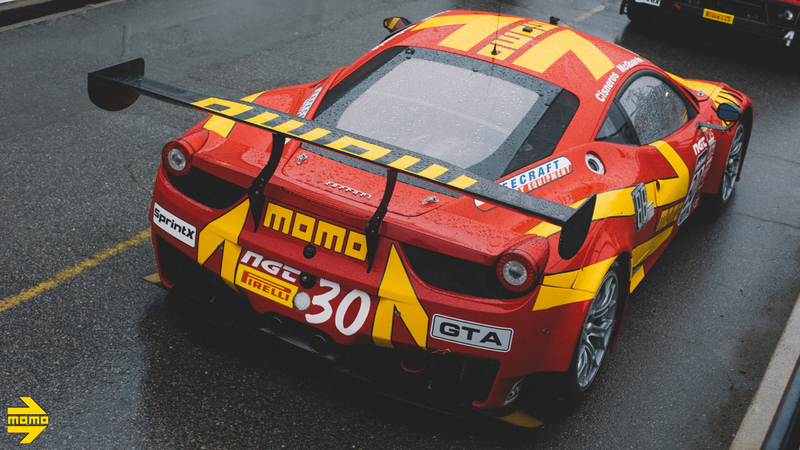 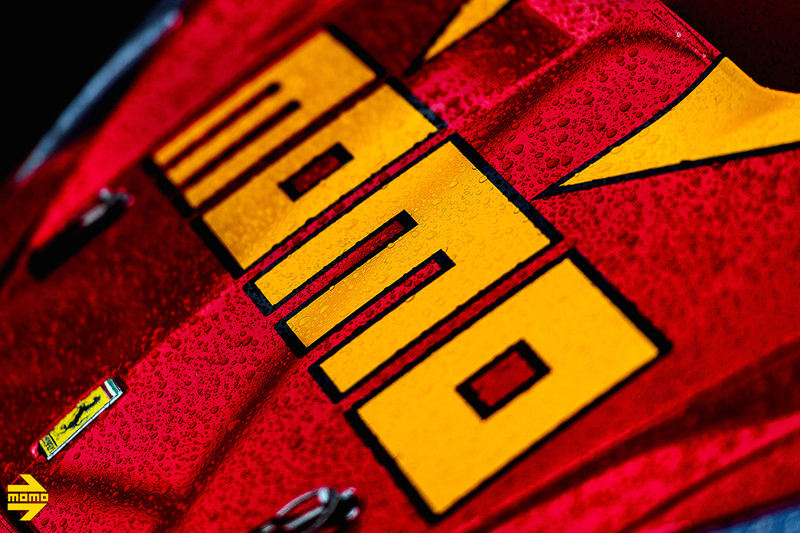 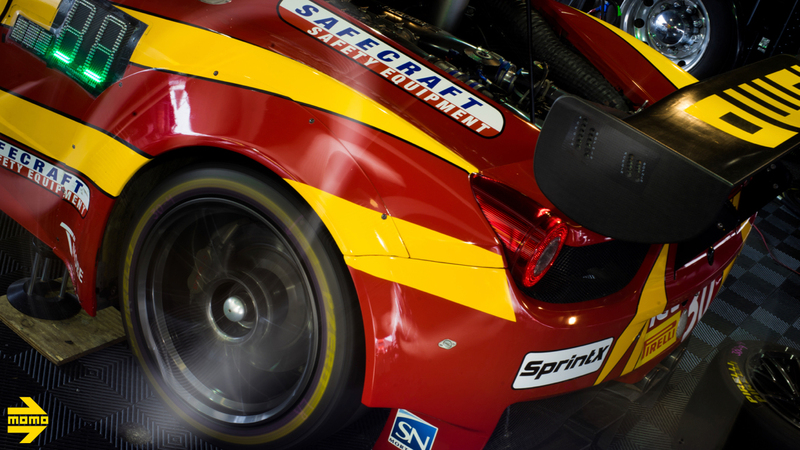 The MOMO NGT Ferrari 458 was eating up the tarmac. 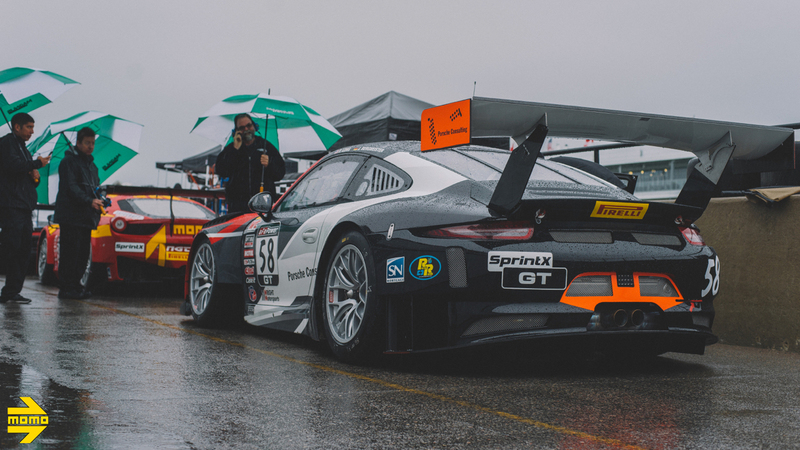 Round Four was to be held the following day on Sunday, May 21, but torrential rain meant the round was postponed to a later date. 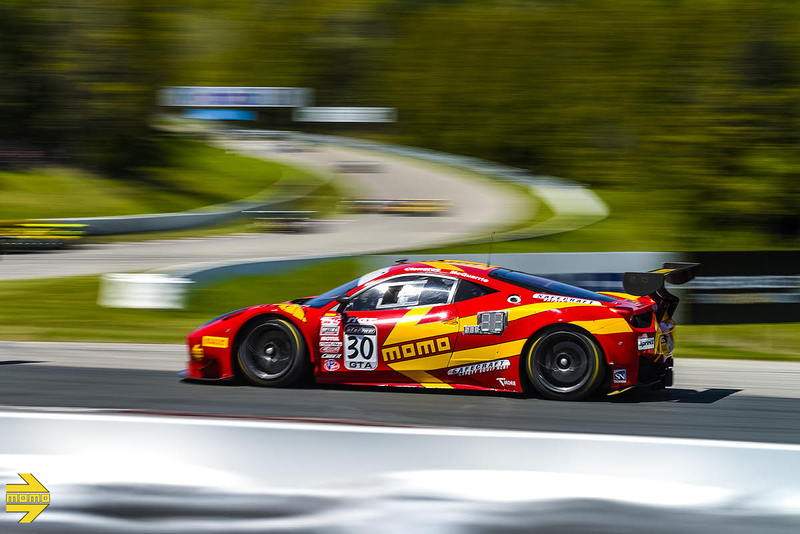 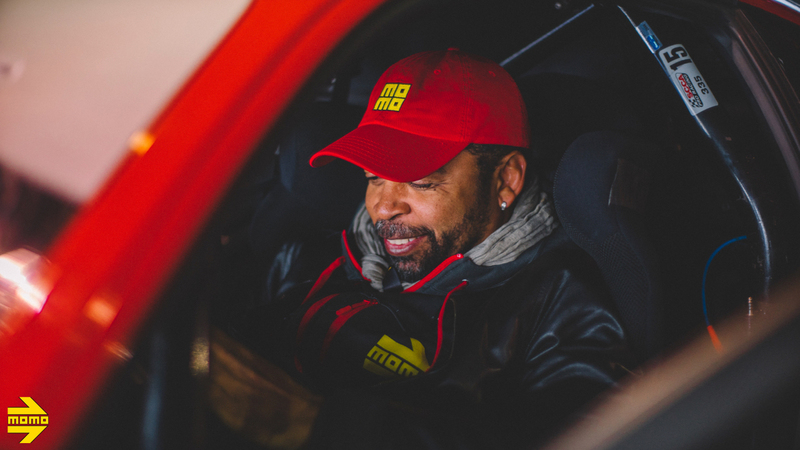 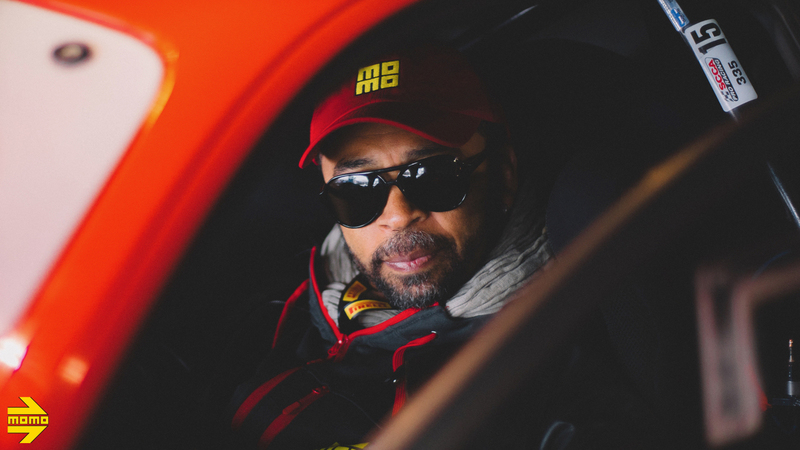 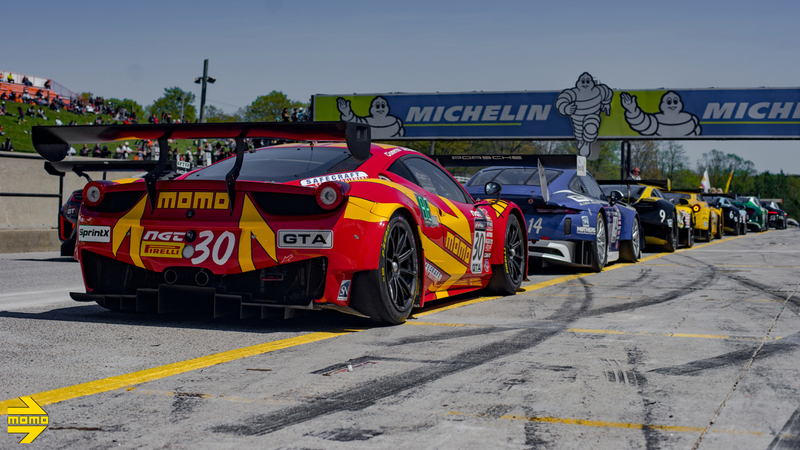 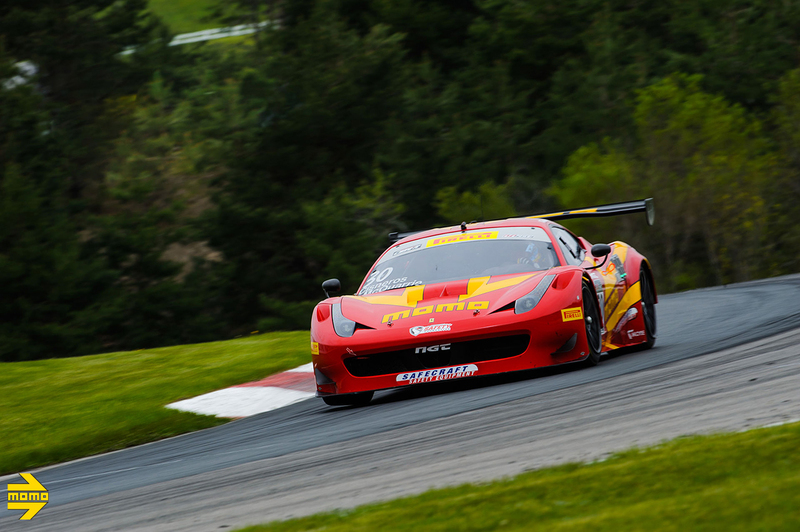 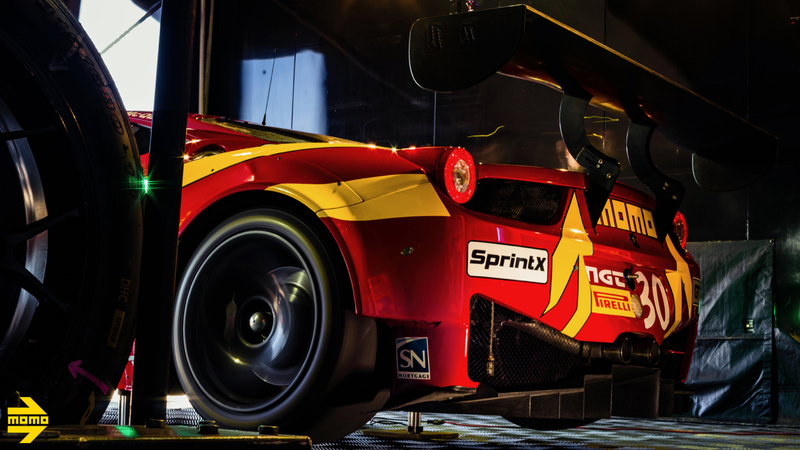 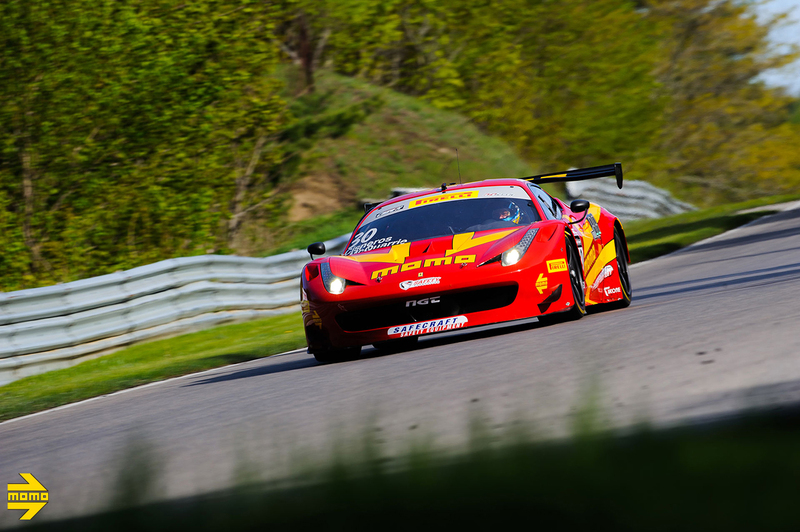 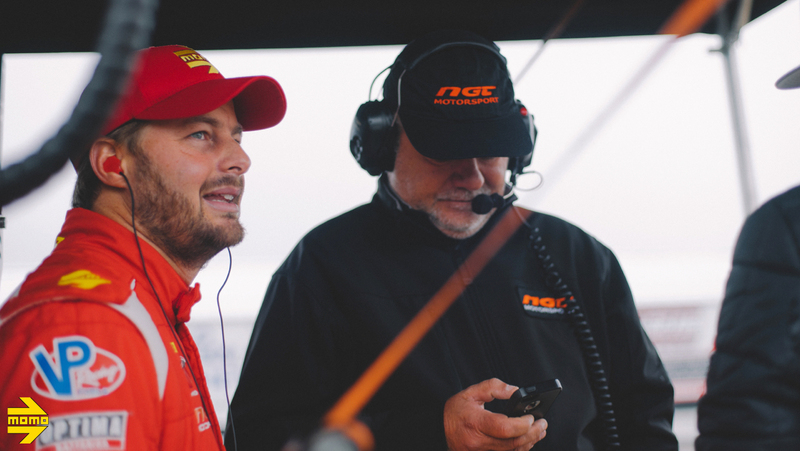 After the first three rounds, The MOMO NGT team has increased its class championship lead and is eager to continue dominating when the series arrives at the legendary Lime Rock circuit on May 26-27 for rounds Five and Six.